As you have read from the above post by author Christine Keleny, today is the 172nd anniversary that Edgar Allan Poe published what’s deemed the first English-language contribution to the mystery genre. A great anniversary to celebrate, for sure! Thank you, Christine, for paying an awesome tribute by writing the above post! Poe is one of my favorite writers. Among my favorite Poe pieces (though they’re horror, not mystery, short stories) are “The Tell-Tale Heart,” “The Cask of Amontillado,” and “THe Fall of the House of Usher”. If I could, I’d celebrate the anniversary by visiting the Edgar Allan Poe Museum in Richmond, VA. But for now, I’ll find content by visiting the museum’s website. On this date in 1841, (172 years ago!) 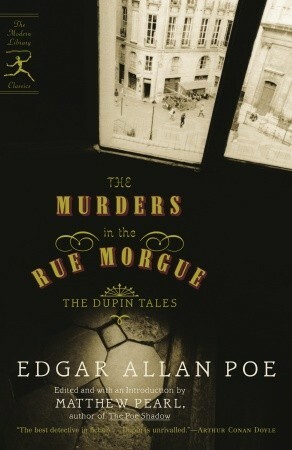 Edgar Allan Poe published what is thought to be the first English-language contribution to the mystery genre, The Murders in the Rue Morgue. He introduced C. Auguste Dupin, a French eccentric who used deductive reasoning to solve crimes. Sound familiar? He also published two other Dupin stories: The Mystery of Marie Roget, and The Purloined Letter, neither of which I have read. I think I’ll read these, starting with the Rue Morgue, which a read a long time ago so I don’t remember, and let you know how it goes.